There is the misconception that only large companies use self hosted telephone systems. It is a wise choice to invest in a self hosted system. Owning your telephone hardware can be better than a “subscription” recurring payment. The Toshiba Strata CIX40 system is the best of both worlds. 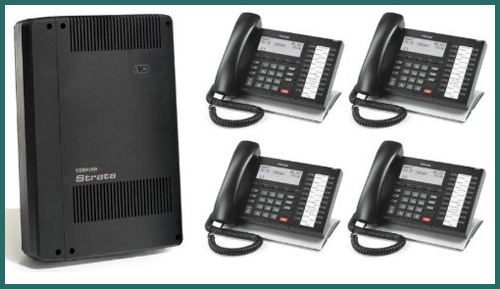 This system is a traditional digital system and has the ability to operate as a VoIP system too. With this cutting edge and affordable system ma small to medium business can own and operate their own business telephone system. As your business grows you can then easily expand the system for more operating lines (sip trunks) and phone stations as you increase employees and staff. These systems are VoIP ready and can be utilized for telecommuting and offer the most modern telephone features in the industry. Metro-Tel offers free evaluations to see if your business is ready for an affordable solution with a powerful connectivity punch. Do not get stuck paying a monthly fee to be able to conduct your business.